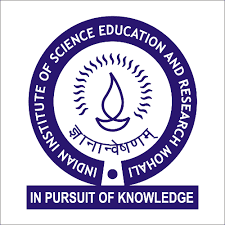 IISER-Mohali (Department of Biological Sciences) desires to engage PROJECT ASSISTANT on purely temporary basis on contract under the DST-SERB sponsored research project at IISER-Mohali. Essential Qualification: Degree of M.Sc/B.Tech. in Cell biology, Immunology, Microbiology, Life Science, Microbiology, Immunology, Biotechnology/Medical Biotechnology, and Molecular Biology. Practical research experience in the above mentioned areas. Candidates should have have qualified any of the national tests like CSIR-UGC NET / GATE / JEST etc with a valid score. This position requires prior work experience/hands-on training in C. elegans maintenance, genetics, imaging, behavioral assays and injections (i.e. making transgenics). Work description: Carrying out molecular neurobiology and behavioral experiments using C. elegans as the model system.